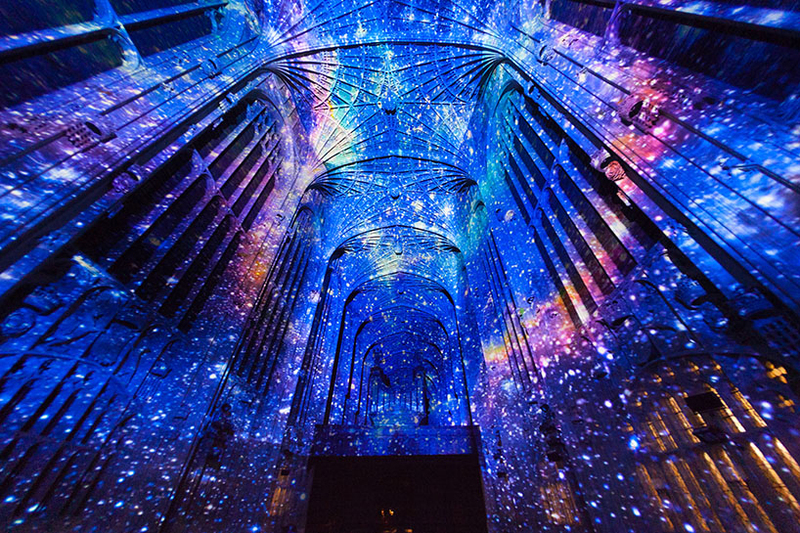 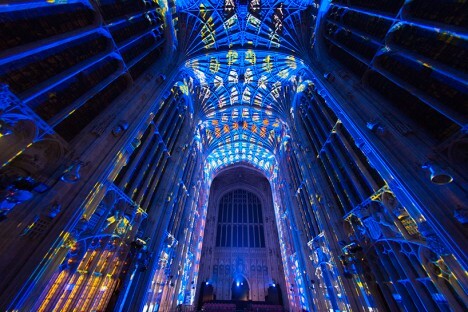 Galaxies stretch across Gothic columns and spatterings of stars span the archways of the chapel at King’s College, immersing hushed crowds who have come to hear a lecture on space. 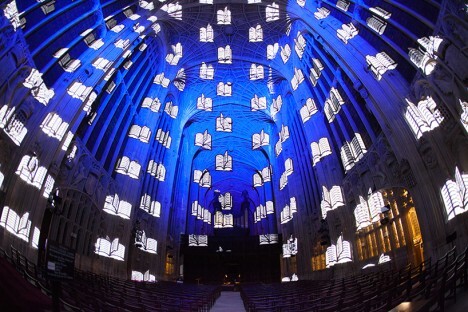 Artist Miguel Chevalier transforms the cavernous interiors of this stunning structure at the University of Cambridge in England to go along with specific lectures, plunging guests into the subjects at hand visually as they listen to speeches by renowned professors and alumni. 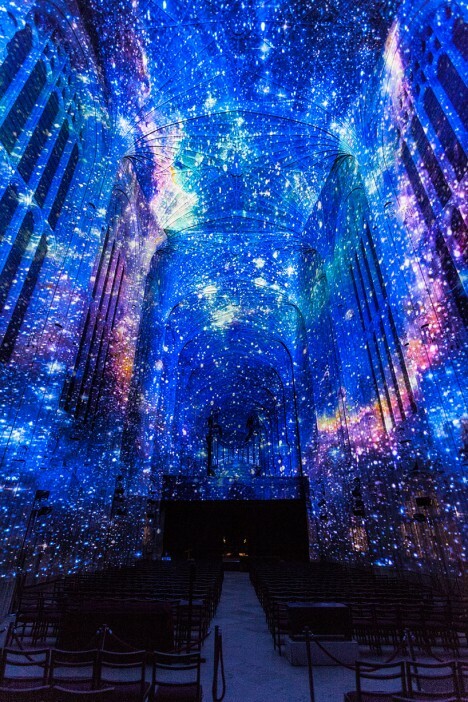 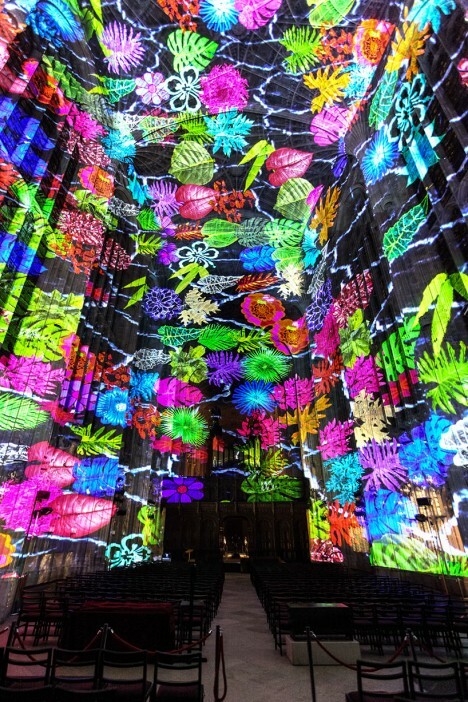 The space visuals help illustrate Stephen Hawking’s research on black holes, while additional projections in the series explore visual interpretations of history, literature, religion and other subjects. 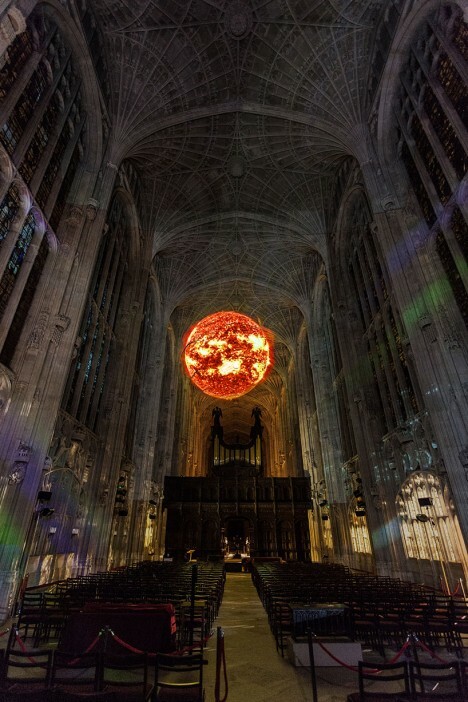 Rather than simply playing video clips to accompany the lectures, or interpreting the subject matter in a literal way, the projections create a richly colorful and moody atmosphere. 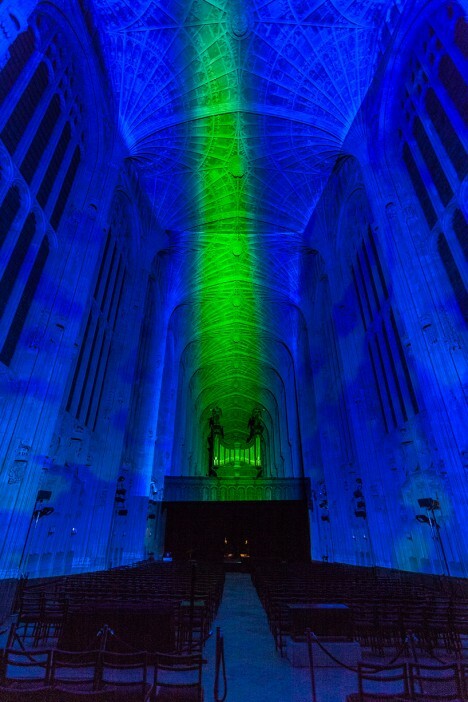 The site-specific installations were created in real-time, and represent the first time an outside artist has been invited to alter the chapel in any way. 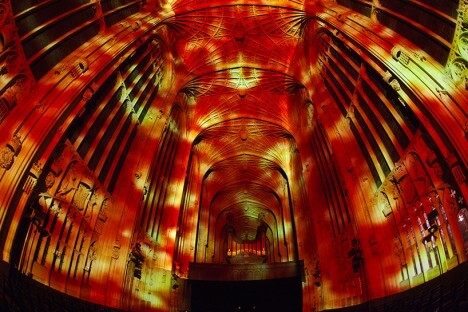 Previously, Chevalier has projected his stunning creations onto Moroccan mosques and an Italian castle built in 1240 for a project called ‘Magic Carpets.’ Biomorphically inspired, these patterns shift and swirl, making the surfaces seem alive.